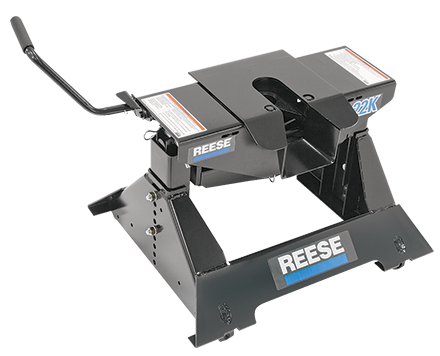 Fifth wheel hitches are designed for carrying much heavier loads than the standard trailer hitch can handle. 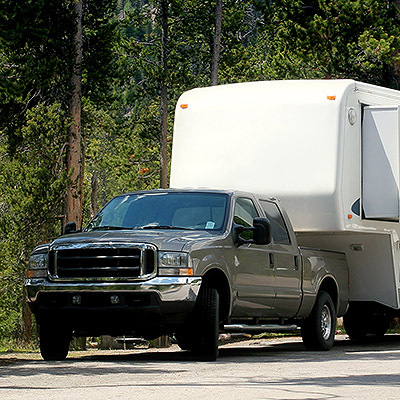 Mounted in a pick-up truck bed, fifth wheel hitches are typically used for pulling campers, RVs, and larger trailers. They offer simplicity, greater maneuverability and stability when pulling larger loads. You may also need trailer hitch accessories for your new fifth wheel hitch. Fifth Wheel Hitch Weight: 106 lbs. Wondering if a fifth wheel hitch is right for you? Let our trailer hitch experts assist you with a quote or call (866) 454-5277.